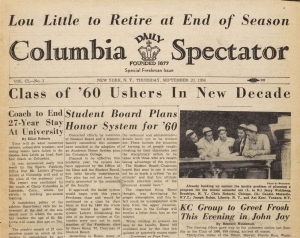 The Columbia Spectator Archive now includes content from 1953 to 1992, totaling nearly 50,000 pages. 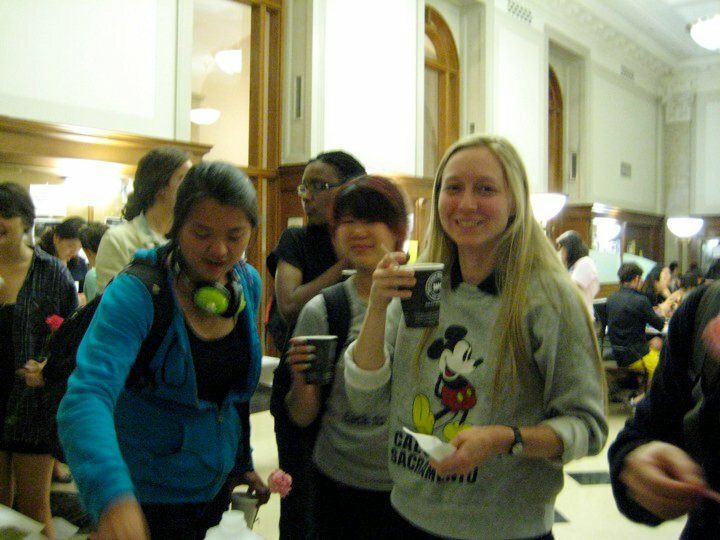 The website, initially launched in Fall 2012, represents the first phase of a multiyear project to digitize the full run of the Columbia Spectator, Columbia's student newspaper and the second-oldest college daily in the United States. When completed, it will include issues from the paper's beginnings in 1877 to the present. The goals of the Archive are to provide a public resource for Columbia University history and to preserve the Spectator's past work. Whenever possible, Spectator issues were scanned from the original paper versions, and high-quality, color digital reproductions were generated. State-of-the-art optical character recognition, automatic text parsing software, and a powerful search and display system, provided by Digital Data Divide and Digital Library Consulting, respectively, allow for article-level access as well as full text searching of the entire Archive. The project, which is being jointly funded by the Libraries and the Spectator, has been challenging as many of the original volumes required paper repair and conservation due to their fragile condition from years of use. This entry was posted in Featured E-Resources, News on February 11, 2013 by Allison. The Libraries house so much more than print resources! Four new online exhibitions launched recently, ranging in a variety of topics from architecture to literature to photography. Check out the papers of Joseph Pulitzer, unique design novelties and more, all from your computer. This online exhibition was highlighted by a day-long symposium at Columbia University in April. The exhibition, along with the conference, focuses on the relation between literature and the media in which it is conveyed. This entry was posted in Featured E-Resources on May 21, 2012 by Emily. Google Scholar is a great tool that can help you discover abstracts, full-text articles, and other database content through a simple search interface. The resource provides a search of scholarly literature across a diverse array of subject areas and sources. Here's a reminder on how to most effectively utilize Google Scholar both on-campus and remotely. You can access the full-text journal and database content provided by Columbia University Libraries directly from Google Scholar. Just type the title of a journal article into Google Scholar and then link directly to Columbia’s full-text via "e-Link@Columbia." If you’re on campus and you search Google Scholar, you will automatically see the "e-link @ Columbia" when the content is available from the Libraries. If you’re off campus, there are a few ways to access Columbia Libraries’ content through Google Scholar. This entry was posted in Featured E-Resources, Using the Libraries on February 20, 2012 by Emily. Free Online Resources for Columbia Alumni! For more information on how to access these resources once you’ve graduated, visit the Alumni & Friends FAQ page. This entry was posted in Featured E-Resources on April 12, 2011 by Emily. Check out Some of the New Resources Online! A-R Editions’ Online Music Anthology – Online Music Anthology is a database of music scores containing representative vocal and instrumental compositions from antiquity through the 19th century. Archives Unbound – Archives Unbound presents topically-focused digital collections of the historical documents that support the research and study needs of scholars and students. Essay and General Literature Retrospective – Essay and General Literature Retrospective indexes single and multi-author collections, plus selected and annual series. Filmakers Library Online – Filmakers Library Online provides award-winning documentaries in the areas of race and gender studies, human rights, globalization and global studies, multiculturalism, international relations, criminal justice, the environment, bioethics, political science, current events, psychology, arts, literature, and more. This database is being offered on a trial basis until May 15.
International Monetary Fund eLibrary – The IMF eLibrary offers direct access to IMF’s periodicals, books, working papers, and studies, as well as data and statistical tools. This entry was posted in Featured E-Resources on April 8, 2011 by Emily. About me: I enjoy working at Columbia where student and faculty research is so varied and interesting and library collections are so extensive. It’s really a pleasure to learn about the research that people are doing and to suggest to them resources that will be of use. What’s new at my library: American Antiquarian Society (AAS) Historical Periodicals Collection This is a wonderfully vast full-text and full page image database providing access to thousands of periodicals from the collections of the American Antiquarian Society. Coverage begins in 1691 and currently extends to 1852. When the database is complete, coverage will extend to 1877. For nearly any topic that falls within the time range covered, you are likely to find something of interest here. This entry was posted in Ask a Librarian, Featured E-Resources, News on March 8, 2011 by Emily. Bunraku, Japanese puppet theater, is an unusually complex dramatic form, a collaborative effort among puppeteers, narrators, and musicians. This online exhibit features highlights from the Barbara Curtis Adachi Bunraku collection. This unique collection is held at the C. V. Starr East Asian Library. The Barbara Curtis Adachi Collection, given to Columbia’s C. V. Starr East Asian Library in 1991, is one of the most extensive collections in the world visually documenting this rich performance tradition. The collection represents four decades of close contact and respectful collaboration between Ms. Adachi and the Japanese National Bunraku Troupe, the leading performance group of Bunraku in the world, and documents the significant revival of Bunraku’s popularity in the second half of the twentieth century. The Bunraku gallery is divided into plays, productions, authors, backstage subjects, kashira (puppet head types), and characters. It documents the form’s revival in the second half of the 20th century, through more than 13,000 slides and over 7,000 black-and-white photographs of rehearsals and performances. The Libraries invites you to explore the world of Bunraku. This entry was posted in Events and Exhibits, Featured E-Resources on June 24, 2010 by Jen.